Sporting Image is brought to you by Michael Bradshaw (better known as ‘Braddy’), and his son, Reece. In 1996, prior to the launch of Sporting Image, Michael was playing rugby league for Oldham amateur side Waterhead ARLFC when he was asked to become the official club mascot for the Oldham Bears. This was the start of a career that went on to last for 20 years, as he became the official mascot for a wide range of different teams namely Oldham Bears, Castleford Tigers, Leeds Rhinos, Bradford Bulls, Salford Red Devils, GB and England RL, Newcastle Falcons, Sale Sharks, Yorkshire CC, Wrexham FC and Burnley FC. During this time, Michael was constantly asked by sports fans and organisations if he could use his access to the clubs to acquire autographed items for fundraising auctions and personal memorabilia collections. Born with a ‘can do’ attitude and with an ever-growing network of contacts, he decided to set up his own business to cater for this requirement – and Sporting Image was born! Over the years, the demand for signed sports memorabilia has continued to grow and Sporting Image is now one of the UK’s top ‘go to’ suppliers for signed sports auction items & raffle prizes after making great use of very good contacts along the way. Making the most of his time in sport Michael has opened many other doors, allowing easy and personal access to top sporting stars! Professional and amateur sports clubs Sports stars celebrating their testimonials including household names Michael Vaughan, Andrew Flintoff and Martin Johnson. Also business and charities hosting fundraising events. Michael’s friendly approach combined with his extensive knowledge and contacts in the sports world and beyond has allowed him to build and expand upon the company’s original service provision. Sporting Image now also offers comprehensive events management services and supplies compères, after dinner speakers, comedians, DJs and magicians for events and fundraisers. Sporting Image also offers bespoke picture framing and memorabilia display services, and sells a range of trophies that can be personalised to client specifications. Braddy founded Sporting Image in 2006 and continues to indulge in his passion for fundraising. With friends and colleagues across the world of sports, Braddy has been able to earn Sporting Image a place alongside the larger names in memorabilia, events and professional speakers. His strong commitment to acting with honesty and integrity has given him and the business a solid grounding, enabling him to put a development plan in place that has brought Sporting Image to the successful status it enjoys today. 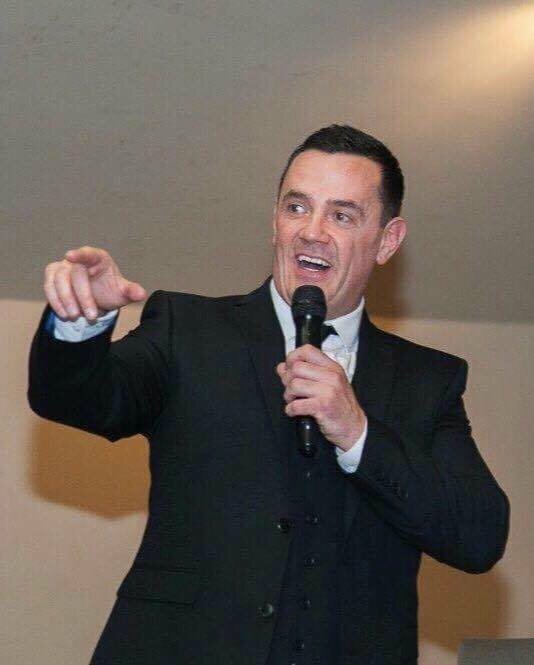 When he’s not organising, running or speaking at an event, Braddy is still a huge fan of his first love, rugby league, and is still heavily involved with Oldham Amateurs Waterhead Warriors.